Which industries are most prominent in the 457 Visa program? The industries employing the most 457 visa holders fall under the ‘other services’ category. This includes sectors such as personal service, religious, civic and other interest groups, as well as private households employing staff. Healthcare and social assistance, and accommodation and food service industries also account for a substantial number of 45 visa holder jobs. Is it possible to transition from 457 visa temporary visa to permanent migration programs? It is very common for 457 visa holders on temporary visas to go on to settle in Australia permanently. In accordance with the high rate of this occurrence, the Australian government has created more streamlined avenues for temporary residents to transition to permanent residency. Who can use the 457 Visa program? Workers must be nominated by a government-approved business to apply for a 457 visa. Primary applicants must also apply on behalf of their family members who will be in Australia for the duration of their employment. All applicants must meet identity and health requirements, as well as have the necessary skills and experience for their role. Before arriving in Australia, temporary workers must ensure they are covered with a 457 visa health insurance policy. Are 457 Visa holders required to be competent in English? All 457 visa workers are required to demonstrate a level of English proficiency, except those whose salaries exceed $96,400. Are 457 Visa holders entitled to the same work rights as Australian workers? Workers on 457 visas are governed by the same fair work conditions and the same minimum conditions of employment as Australian workers, including work hours, rest breaks, sick leave and holidays. 457 visa workers have the same rights to join a trade union. What happens if a 457 Visa holder becomes sick or is injured? 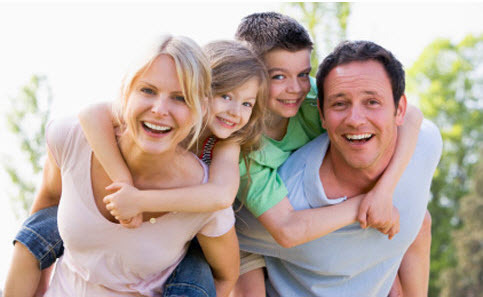 457 visa health insurance is essential. As part of their visa requirements, temporary workers must maintain a private health insurance policy to cover themselves and their families for the duration of their stay in Australia. Employers may choose to cover the costs of 457 visa health insurance, but are not obligated. Are 457 Visa holders entitled to the same benefits as Australians? Temporary workers do not have access to all the same avenues of government support as Australian residents. For example, 457 visa holders cannot claim Centrelink benefits or Medicare benefits (unless their country of original holds a reciprocal health agreement with Australia). This is why 457 visa health insurance is so important for temporary workers. Are 457 Visa holders permitted to transition between different jobs and locations? Temporary workers are free to move between employers and locations freely, on the proviso that the new employer is a government-approved to sponsor the visa holder. In accordance with the most recent migration amendments, 457 visa holders are now entitled to a consecutive 90 day period once their employment has ended, to secure sponsorship with a new employer. Employers can be accredited for up to six years. A business sponsorship is valid for three years. What are the employer obligations for the 457 Visa program? Commit to maintaining a workforce made up at least 75 per cent of Australian residents. What are the employer obligations when a 457 Visa holder leaves Australia? Temporary workers are entitled to receive reasonable travel costs from their employer to cover the expense of their return with their family to their country of origin. Employers must update the relevant government department with details of the visa holder’s stay, and may be liable to pay costs associated with the holder’s removal from Australia should the sponsorship become unlawful.